Greenlit means a project is officially a go, so all you have to do is follow these leads to stay up to date. You never know where you’ll find an opportunity to land an audition! While we’ve been waiting to see if Hawkeye would get his own standalone movie, it looks like he’ll be heading to the small screen instead. 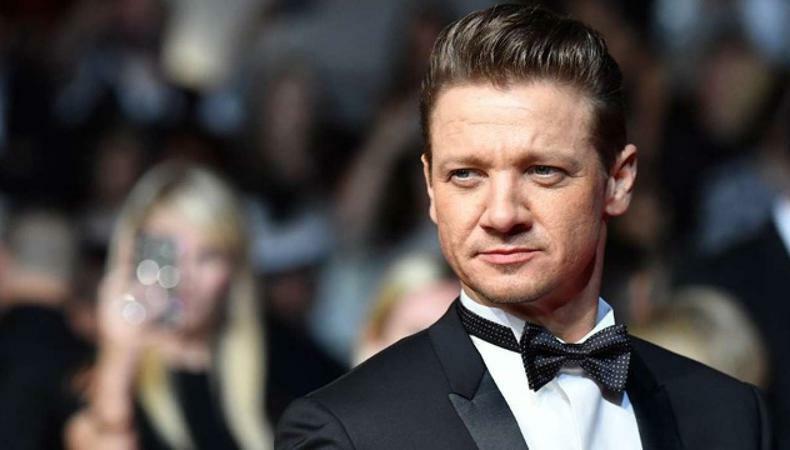 The forthcoming Disney+ streaming service, which announced a November launch date, is reportedly at work on a Hawkeye series starring Jeremy Renner. The adventure series will pass the baton from Clint Barton, a.k.a. Hawkeye, to Kate Bishop, a member of the Young Avengers. Like the previously-announced limited series that will focus on other Marvel Cinematic Universe characters such as Loki, Vision, and Scarlet Witch, the Hawkeye series will be six to eight episodes. Expect Marvel casting superhero Sarah Finn to be in charge of staffing the show. If you build a prom, they will come—and Ryan Murphy is banking on it. At a recent curtain call for a charity performance, the showrunner extraordinaire announced he will be making the current Broadway musical “The Prom” into a Netflix movie. The show centers on an Indiana teenager who is banned from bringing her girlfriend to prom and is helped by a group of Broadway eccentrics to fight the injustice. It is the latest story to be adapted as part of Murphy’s major Netflix deal. There is no word yet on a timeline for the film’s production, or if any of the original cast or ensemble will join, but Telsey + Company cast the stage musical and could get the job for the screen iteration unless Murphy go-tos Ulrich/Dawson/Kritzer get the gig. The ever-busy Lena Waithe is taking on yet another project, this time on the acting side. The “Master of None” star and “The Chi” creator has reportedly signed on to appear in Season 3 of the hit HBO series “Westworld.” Waithe will star in a currently-undisclosed role, joining the previously-announced Aaron Paul. Production recently began on the third season and is scheduled to air sometime in 2020. John Papsidera is the series casting director. Waithe’s series “Twenties” was also just greenlit; back on the other side of the camera, Waithe will probably go with her frequent collaborator Carmen Cuba for casting. Announced this weekend, Broadway darling Laurie Metcalf will continue her streak on the Great White Way and has set her next role. The two-time Tony winner will star alongside Eddie Izzard in a revival of “Who’s Afraid of Virginia Woolf?” This will be the second revival of the Albee classic this decade on Broadway, the most recent running in 2012. Rudin has produced Metcalf’s last three Broadway shows: the currently-running “Hillary and Clinton,” and her Tony-winning runs in “Three Tall Women” and “A Doll’s House, Part 2.” All three have used Caparelliotis Casting. Kate McKinnon will step out of Hillary Clinton’s shoes and into Elizabeth Holmes’s at Hulu. The “SNL” star has been tapped to portray the Theranos founder in the upcoming Hulu limited series “The Dropout.” The bio-series will follow the rise and fall of the woman once described as “the next Steve Jobs” and will be based on the ABC News podcast by Rebecca Jarvis. This will be the first series order for the Fox Searchlight television division. Be sure to keep an eye on the project for future casting opportunities. “The Crown” has found its Princess Di. Newcomer Emma Corrin will portray Lady Diana Spencer in the hit drama series, making her first appearance in Season 4. Corrin has previously appeared on ITV’s “Grantchester” and will also soon appear in Warner Bros-Epix Batman prequel series “Pennyworth.” Production is still in progress for the third season, where recent Oscar winner Olivia Colman will take over the role of Queen Elizabeth and Tobias Menzies will take over Prince Philip. Nina Gold is the series casting director, and despite ongoing Season 3 production, it seems casting is underway for the following season.